Grey Fox Pottery is a collective of around 25 artists creating, throwing and assembling unique handmade coffee mugs for individuals and businesses nationwide. In American fashion, we make mugs of all shapes, colors and sizes! Using nationally sourced materials, we do all of our work just a few blocks from the mighty Mississippi River, right here in Minneapolis, Minnesota. We have made mugs for many different humans for so many reasons; starting mug clubs, gaining that competitive edge, or just simply adding something unique and meaningful to the swag shelf! We have even made mugs for families; showcasing a family crest or commemorating a wedding. Our minimum order of 48 is meant to give small businesses a chance to order a small batch at a low cost. With our extensive selection of mug styles and glaze colors, we get to communicate directly with our customers to find the perfect combination of things for their needs. Who Buys Wholesale Coffee Mugs? Check out our quick 1 minute video on the process! 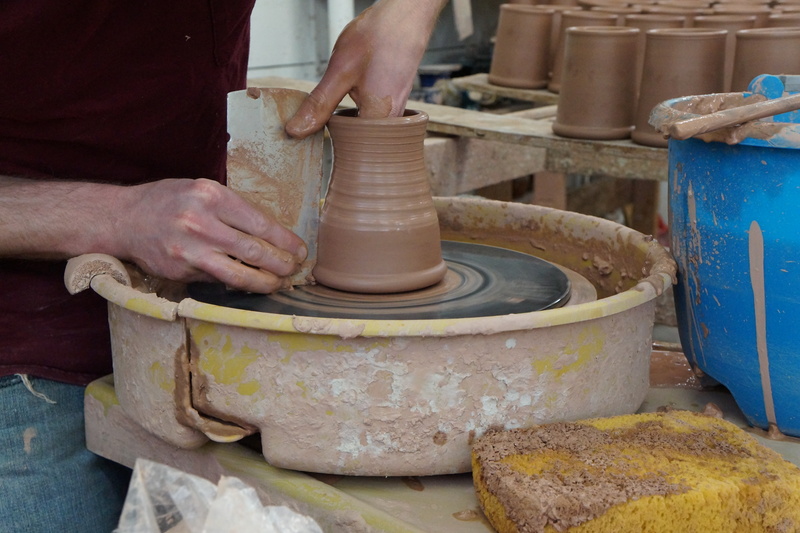 Here we demonstrate our more common practice of hand throwing mugs, and we’ll also show you how we make our cast mugs. Grey Fox Pottery is proud to be American. We make mugs of all shapes, colors and sizes! 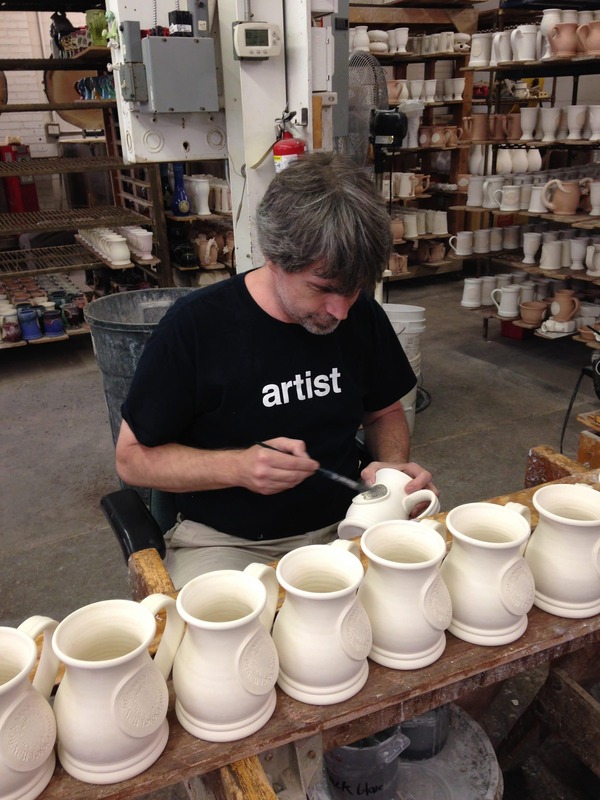 We use America-based products and hire professional American artists to produce stoneware mugs that support the growth and prosperity of American businesses. Furthermore, all of our branded coffee mugs are handmade, meaning that no two are exactly alike. When you order stoneware merchandise from Grey Fox Pottery, you can rest assured that you’ll receive a one-of-a-kind assortment of beautifully unique pieces every single time. 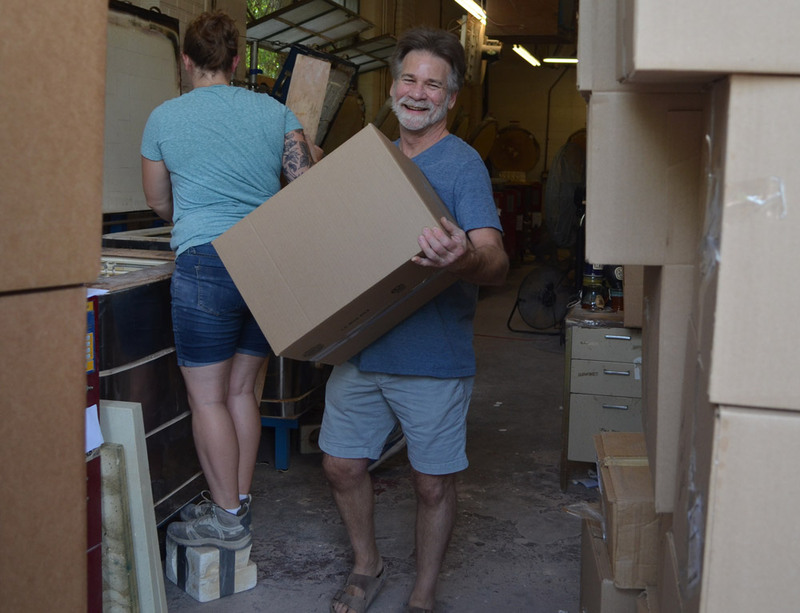 At Grey Fox Pottery, we’re passionate about providing businesses of every size with inexpensive, high-quality stoneware merchandise to help them succeed and thrive. Our custom branded coffee mugs are a fantastic way to reward and retain customers, differentiate yourself from competitors and boost brand awareness, attracting new potential patrons in the process. Our stoneware pieces exude style, class and uniqueness. 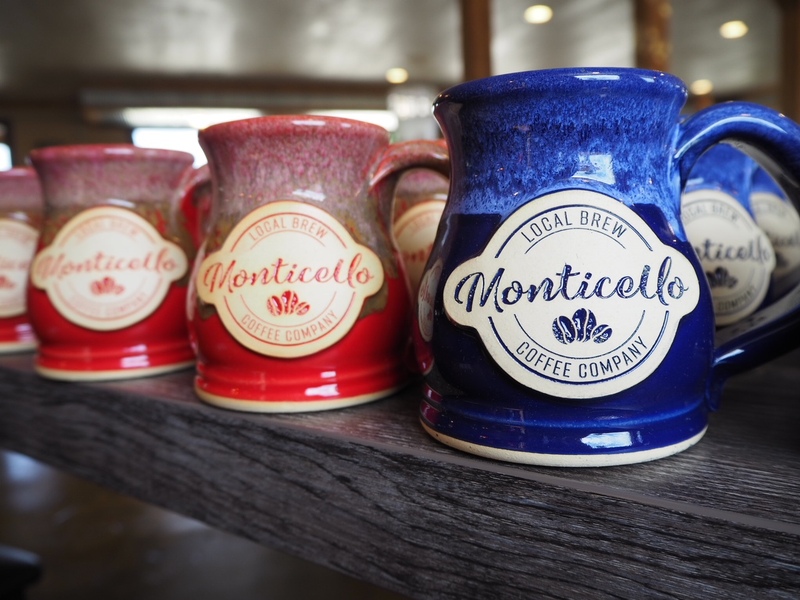 Moreover, our extensive selection of styles and glaze colors make it easy to design a line of custom coffee mugs that perfectly match the look and personality of your brand. 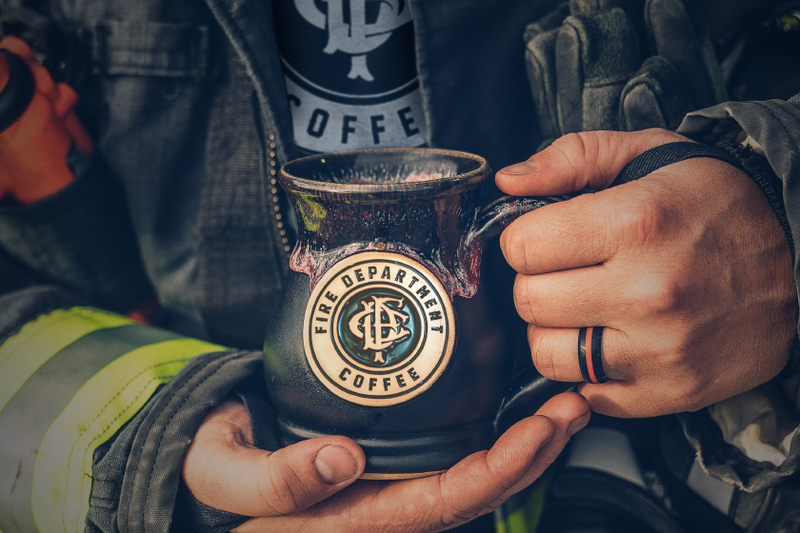 We offer a number of gorgeous coffee mug styles, allowing you to create a personalized drinking experience and aesthetic for your stoneware that delights fans and puts competitor merchandise to shame. Looking for a simple, elegant design that mimics classic early American styling? Then our Traditional Mug is the right choice for you. 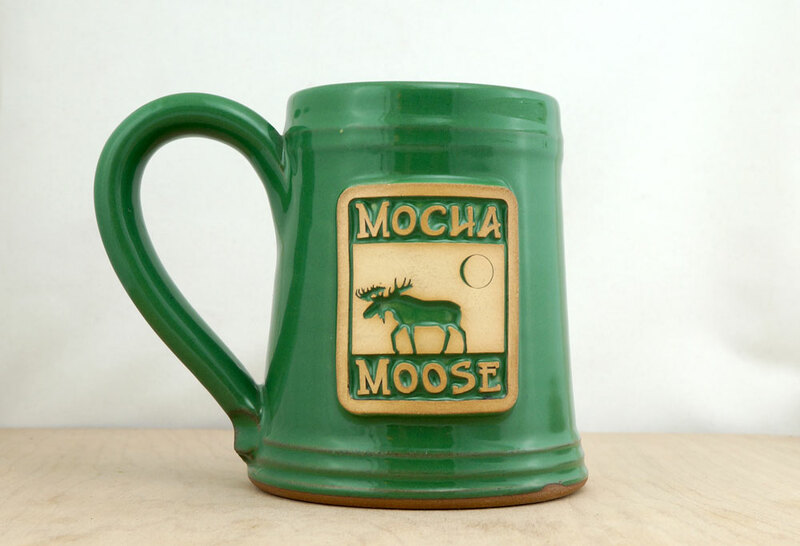 Mocha Moose, a cozy little coffee shop nestled up in Northern Minnesota, chose our 12 ounce Traditional mug in our Emerald Green glaze. Or perhaps you’re in the mood for an unconventional style that doubles as a soup, oatmeal or custard container? If so, then you’ll definitely want to check out our Soup Mug. 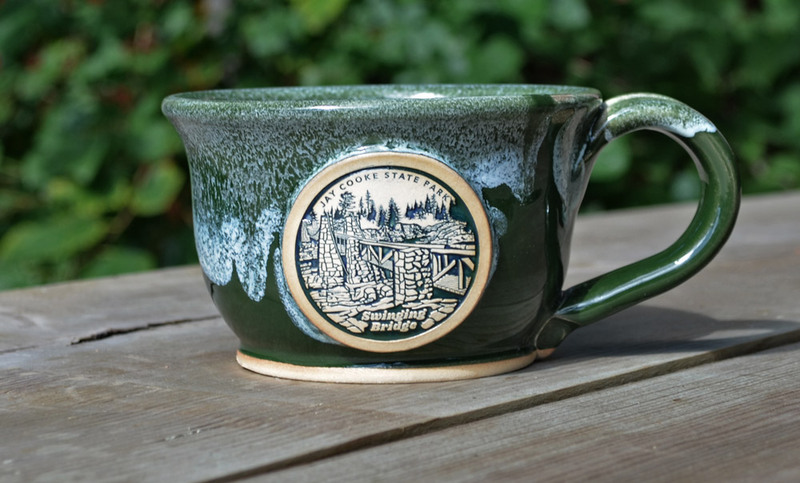 Jay Cooke State Park got our 18 ounce Soup mug in Green with a White Rim glaze. Regardless of the look or feel you want for your branded coffee mugs, we’ll work with you every step of the way to find a brilliant style that suits your needs. Your coffee mugs will turn even more heads if they effectively pair an attractive style with breathtaking colors. Glazes give the mug a personal touch and unique flare. And thanks to our massive glaze selection, you can wow your patrons with an endless variety of colors. For example, if your business wants to establish a more traditional look with strong, dark colors, then our satin black or dark blue with gold glazes are fantastic choices. Interested in switching things up with a few contrasting colors? Then an edgy two-tone combination of glazes will work beautifully. We even offer a more whimsical selection for planning special events, including periwinkle and mandarin! No matter which colors you’re looking for, Grey Fox Pottery has you covered. 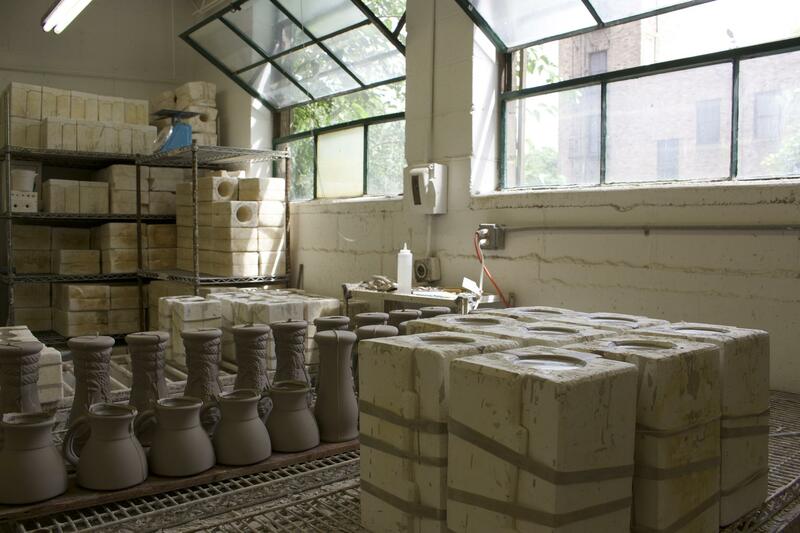 All of our glazes are lead-free, food safe and formulated in-house to ensure quality results. Selling or giving away custom branded mugs is an excellent way to boost your success by introducing new potential customers to your company. This tactic is significantly more effective when you utilize high-quality, unique items. Handmade, custom mugs may be relatively expensive and more involved when ordering, but they also make your brand synonymous with high-end quality and standards. Furthermore, these pieces are rare and collectable, and the people who see them are highly likely to remember the brand logo and messaging they display. If you really want to stand out from the crowd and make an impact, invest in high-quality, handmade coffee mugs. 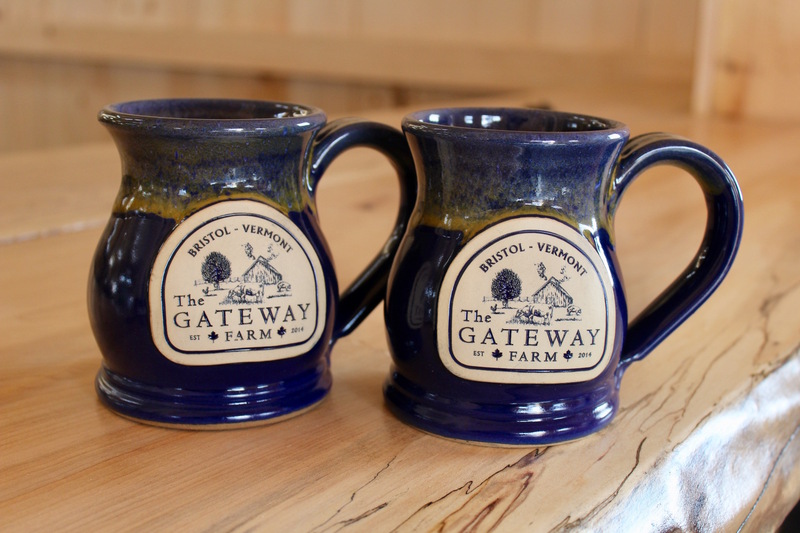 The stoneware coffee mugs we produce at Grey Fox Pottery match the reliability, quality and uniqueness of your brand. When you treat your loyal fans or new customers with one of these durable and stylish pieces, you’re showing them that you sincerely appreciate and value their patronage and support, and gestures like this go a very long way in cementing brand loyalty and building a solid foundation of dedicated customers. Free advertising is an underestimated marketing tool. 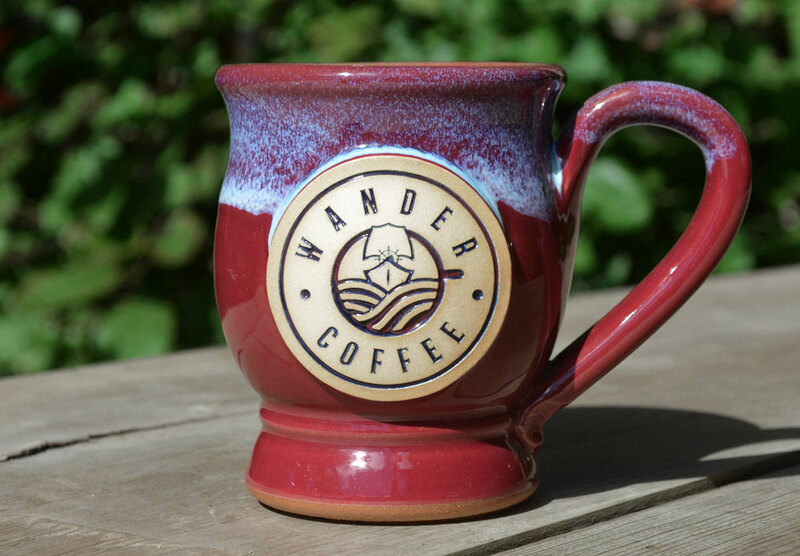 When you create a custom mug with Grey Fox Pottery, your customers can act as your biggest fans and some of your most consistent marketers, sharing your brand with friends, family and coworkers through their new coffee mugs. Most importantly, when potential customers see these stylish and unique pieces, they’ll be intrigued and eager to find out how they can acquire one of their own, meaning that they’re much more likely to visit or get in contact with you. Grey Fox Pottery makes it convenient and affordable to get your name out in front of people. Our expert team of American artists has mastered the logo process to guarantee that your custom mugs make your brand imagery and artwork shine. Whether your logo is simple or detailed, our team is ready to help. We work with hundreds of individuals and businesses to help bring something new to the table of branding. We know how important your brand is, and that’s why we work with each customer on a personal basis to ensure that they are 100% satisfied with their investment. Once you’ve chosen the styles, glazes and quantities of the mugs you want, all you have to do is send us a copy of your black and white artwork. (PDFs or original vector art are ideal.) 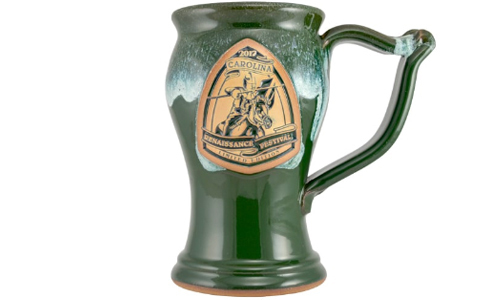 From there, our team of mug experts will use our Ceramic Scrimshaw process to transform your brand’s logo or imagery into a clay medallion with phenomenal detail. In most cases, our talented artists can complete your design in half an hour or less! They’ll detail your mug with precision and high-end quality, making you the envy of all your competitors. Chapter 3: Who Buys Wholesale Coffee Mugs? And why do they buy them? While our customers are varied, our mugs give a sense of community and pride in the brand displayed. When people check out a new coffee shop, they’re looking for awesome new drinks, a refreshing aesthetic and, perhaps most importantly, a touch of personality and charm that they can’t find at any coffeehouse chain. After all, ordering your daily dose of caffeine shouldn’t be an impersonal, textbook interaction; it’s supposed to be an exciting opportunity to try new things, meet new people and walk away feeling fully revitalized and ready to face the day (or night). And once coffee lovers find a shop that can provide all of those things, they’re more than likely to visit again to try new beverages and share their findings with fellow caffeine fiends. 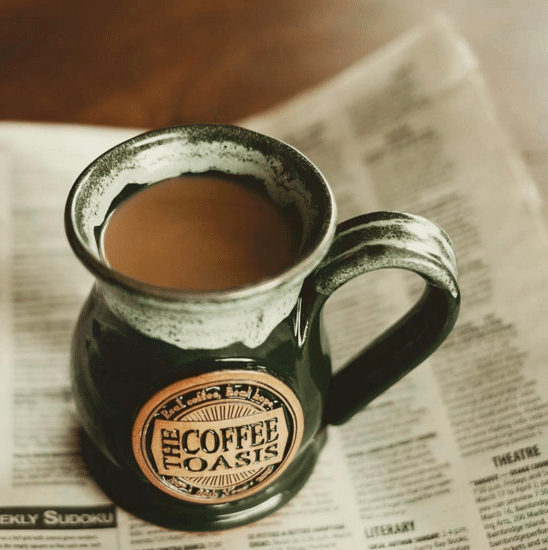 Our stoneware coffee mugs are a natural choice for coffee shops looking to rise above the competition and spread the word about their brand. These handmade pieces are designed to be stylish, classy and affordable, and they’ll leave a great impression on first-time visitors and dedicated fans alike. At the end of the day, your potential customers are looking for coffee shops that sincerely value their business and provide them with one-of-a-kind experiences. By selling or giving out some of our quality stoneware coffee mugs, you can endear your brand to visitors and keep them coming back time after time. And when they aren’t enjoying the excellent drinks you offer, they’ll be showing off their cool new mugs to all of their friends and coworkers, boosting brand awareness and bringing in even more business. Who doesn’t love checking out the gift shop for a few souvenirs during a vacation or traveling excursion? Regrettably, a vast majority of these stores offer incredibly similar items that we’ve all seen a thousand times before. Generic T-shirts, boring postcards and bland coffee mugs without any semblance of character or charm. If you really want your gift shop to stand out and pull in business, you’ll need to invest in items that visitors can’t find anywhere else, and that’s a tough task considering the fact that you need to sell your stock at affordable prices. How are you supposed to acquire high-quality merchandise that will set your store apart without burning through your funds? Grey Fox coffee mugs are attractive and memorable pieces that offer personality and utility. Unlike stuffed animals and random trinkets, these handmade pottery pieces are always useful, making them an easier investment for shoppers who want maximum value for their hard-earned cash. After picking up their stylish Grey Fox mug, your patrons can experience fond memories of their vacation or adventure with your brand whenever they take a welcome sip of coffee in the morning, which might just give them the push to plan another trip to your store! Moreover, our unbeatable pricing and incredibly flexible ordering system allow you to invest in different styles of mugs quickly and affordably, providing visitors with completely unique goods every single time they stop by. 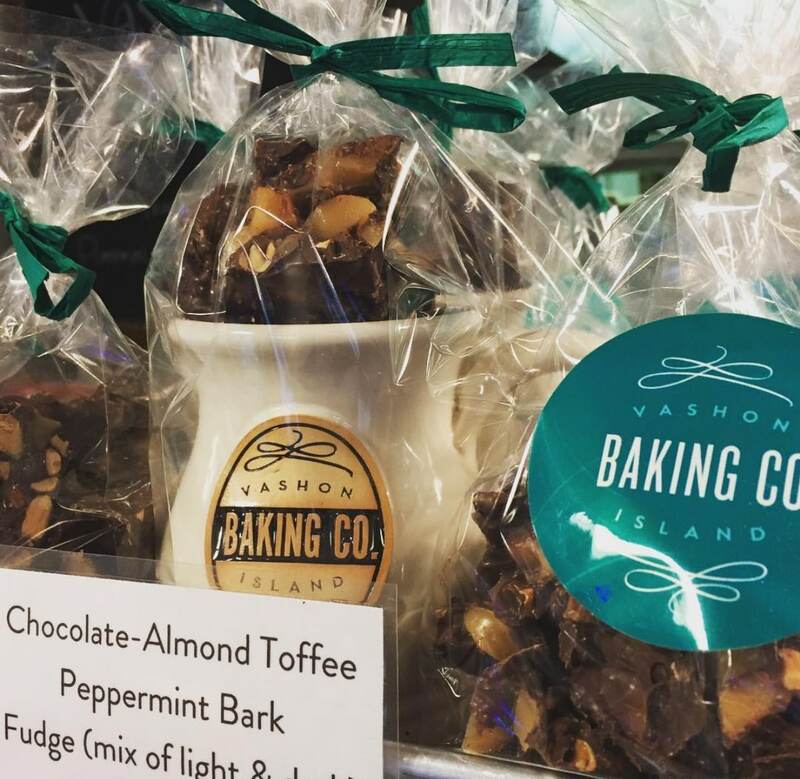 Whether you run a bakery or a cafe, we’re willing to bet that you offer delicious and unique goods that turn rival businesses green with envy. So why shouldn’t your branded merchandise match the quality and distinctiveness of your food? Besides, the best way to make a fantastic impression on patrons and keep them coming back for more each week is to set them up with personalized gifts that illustrate the value and service that you offer to customers. However, it can be tough to find a merchandise provider that can match the look and personality of your brand without forcing you to pay high prices or order massive quantities of items. That’s where Grey Fox comes in. Grey Fox takes pride in working with businesses of all sizes. That’s why we offer incredibly affordable stoneware mugs and a minimum order size of just 48 pieces, allowing you to pick up all of the mugs your business needs without breaking the bank. 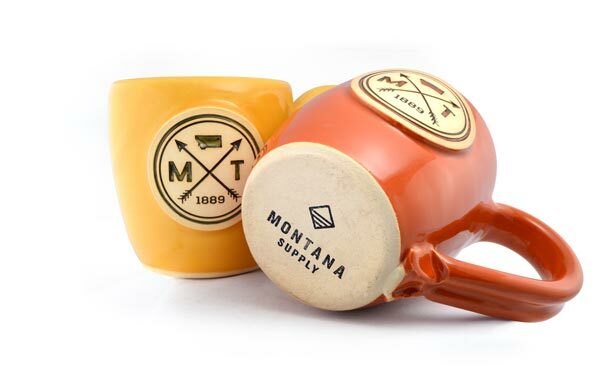 Furthermore, our incredible selection of mug styles and glaze options give you all the tools needed to design a line of pottery pieces that surprise and delight your new and veteran customers with outstanding colors and shapes that beautifully suit your brand and its completely distinct style. 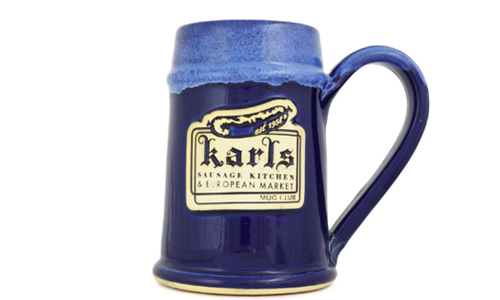 And remember, nothing pairs better with a tasty selection of food and baked goods than a gorgeous stoneware mug! Public events are excellent opportunities to explore your city and connect with new people. And one of the best ways to cap off these experiences is to walk away with a few memorable pieces of custom merchandise. Whether you’re in charge of planning trade shows, golf events, networking events, ceremonies or any other type of special event, ordering a selection of high-quality souvenirs for your guests is a phenomenal way to thank them for attending and encourage them to check out your next big occasion. However, it’s important to ensure that your merchandise matches the tone of your event and the interests of your guests. 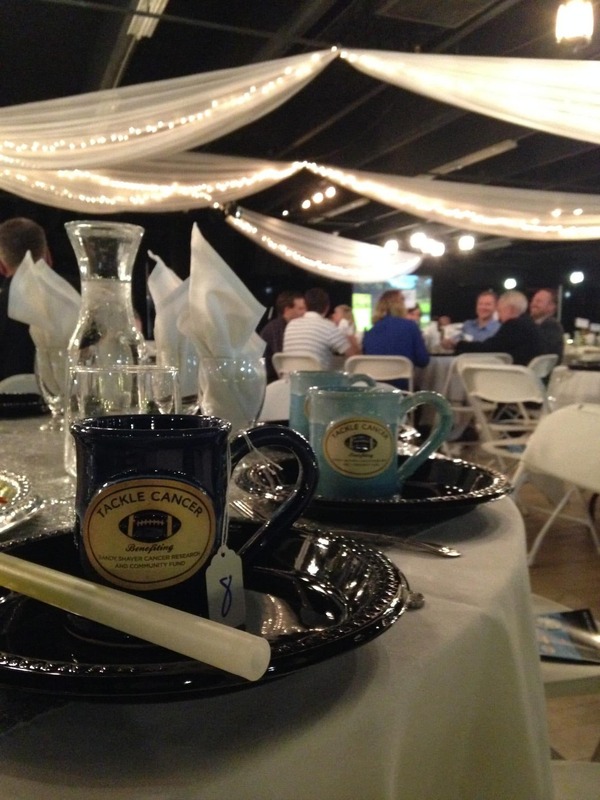 No matter what type of event you’re planning, coffee mugs are never a bad investment. After all, a few durable and classy mugs are always a welcome addition in the eyes of your guests, especially if they’re tricked out with attractive artwork or logos that showcase a memorable event they attended. 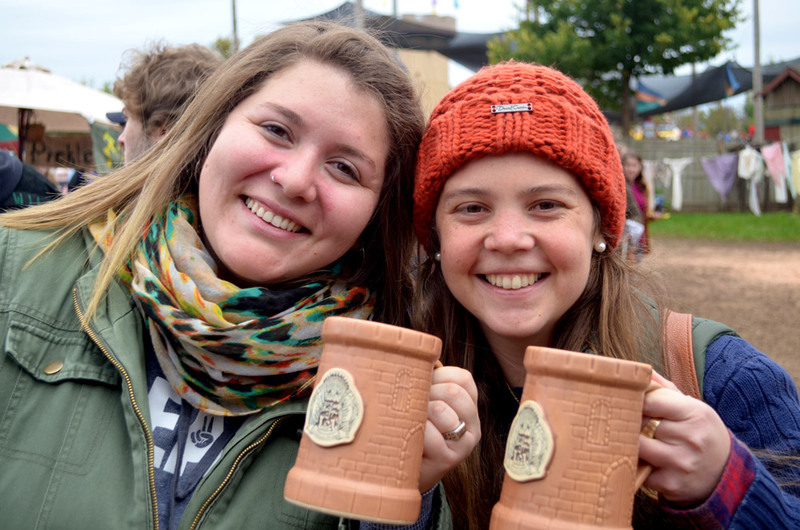 Thanks to our unbeatable selection of coffee mug styles and glazes, you can create a line of stoneware merchandise that compliments and enhances the aesthetic of your event. Furthermore, our talented team of American potters has perfected the art of transforming branded visuals into detailed logos. We’ll stop at nothing to provide you with a quality selection of mugs that seamlessly fit with your event. Best of all, by taking these pieces home or to their workplace, your patrons will increase awareness for your event and drive even more customers to your door. 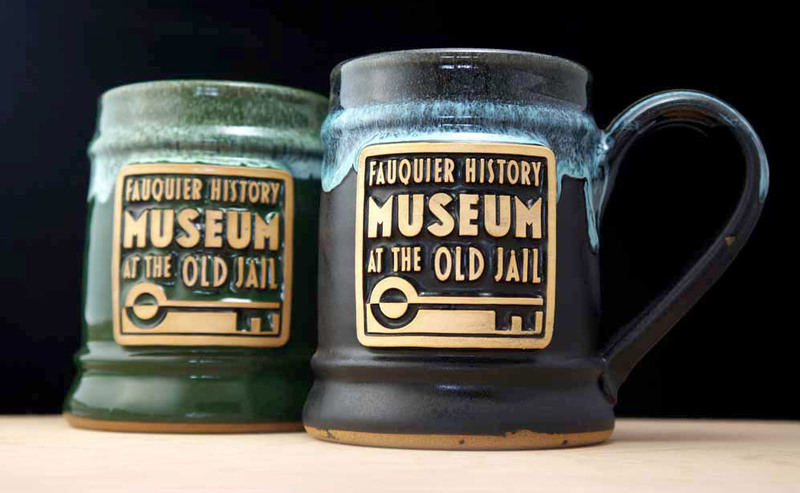 Grey Fox Pottery mugs are an excellent way to get your cause buzzing. There’s nothing quite like a group of people sitting around a cold, crisp morning sipping coffee. Why not use that moment to advertise your passion for a cause important in your life? We offer the most flexible design and branding options on the market. No matter what your cause is, we can help you create a phenomenal line of mugs that appeal to your audience. 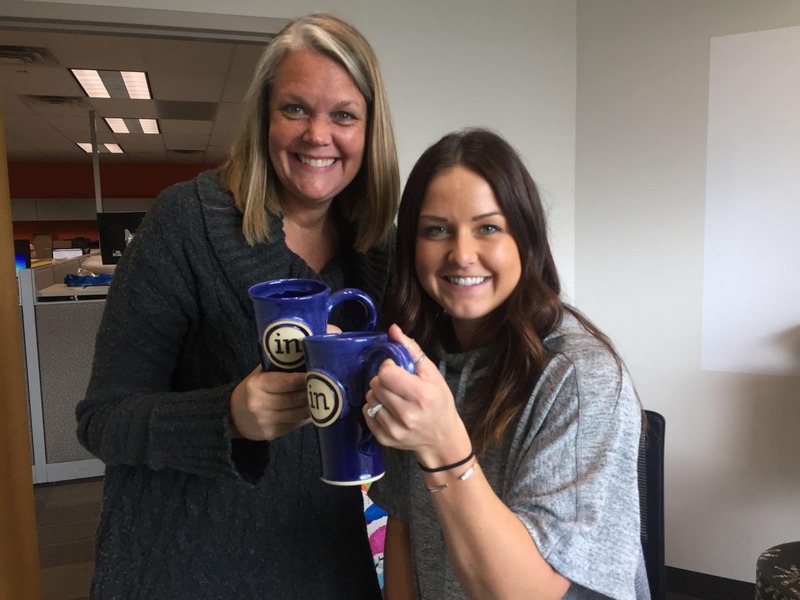 There are a ton of ways to help promote and bring awareness to your cause, and our team is excited to help you find the perfect mug style and design to help you succeed. For small and large businesses alike! One of the biggest issues with custom mug makers is that they require you to purchase a large number of pieces for each order, making it incredibly difficult to procure pieces for smaller events and experiment with different styles and looks. And in order to keep your fans excited about and engaged with your business, you need to present them with new and exciting merchandise at least a few times each year. Besides, no fan wants to receive the exact same mug style and color at every event they attend. Unlike a vast majority of competitors, our minimum order is only 48 pieces, allowing you to diversify and try out different mugs whenever inspiration strikes without burning a hole in your wallet. Starting up a new monthly event for your fans? Then commemorate the occasion with a new line of sleek coffee mugs. 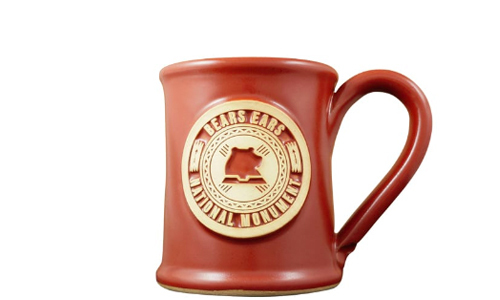 And if you’re feeling particularly adventurous, you can even create a series of mugs in various styles or colors and challenge your fans to collect all of them, enhancing consumer engagement and further strengthening the community of loyal fans you’re building. With a touch of creativity and our flexible order sizes, the possibilities are endless. We know that sometimes you have to order in bulk, especially when preparing for that big event or conference. Our 48-piece minimum is designed to give you the most bang for your buck while making the process fast and seamless. We’ve spent almost 30 years making wholesale handmade coffee mugs for businesses, and our combined experience and production expertise make us the best choice for all your mug ordering needs. 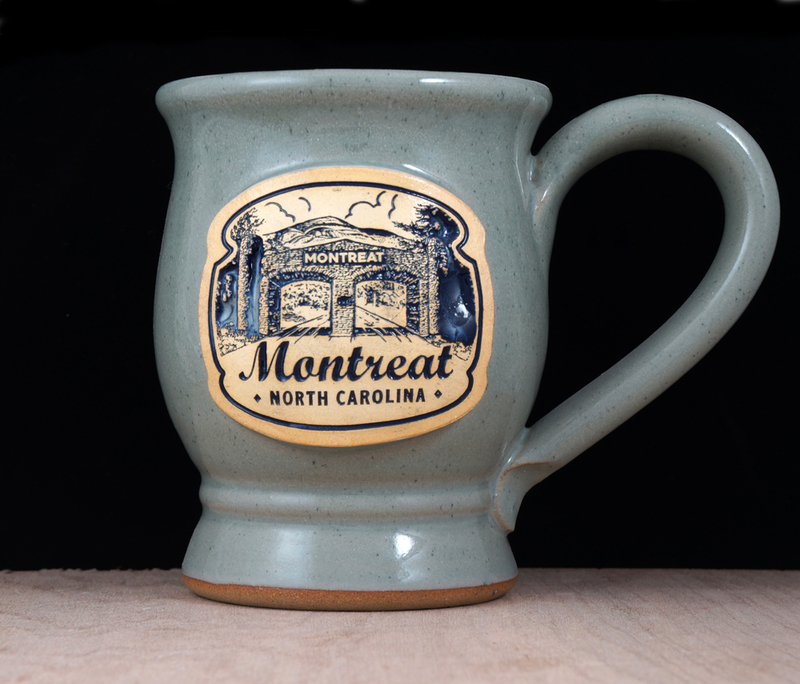 From a rainbow of colors to choose from, tons of mug styles to explore and bulk ordering made easy, Grey Fox Pottery is the one-stop shopping solution for your business branding needs. Send us the best quality digital file you have of your artwork. Choose your mug style(s) and glaze color(s). Do you have an event date? When Can I Expect My Mugs? Once your order is completed and approved, you can expect your mugs to be shipped in approximately 8-10 weeks! If you need your mugs for an event date, we ask that you approve your completed work order 10 weeks prior to the event date. If your order is approved >10 weeks prior to your event date, we cannot guarantee delivery of your full order. In this case, you may only receive a partial order for your event — receiving the rest of your order at a later date. 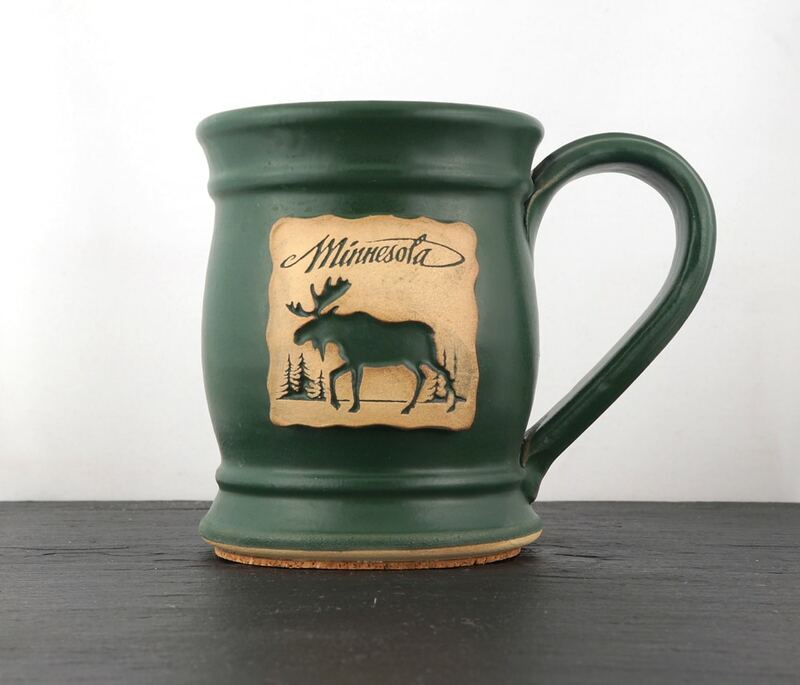 If you are concerned about receiving your mugs in time for an event date, please contact the person who took your order, or call the office at (612) 767-7407. The office is open M-F, 8am-5pm CST. A handful of our customers prefer their own custom bottom stamp! Let us know if you’d like to use your own stamp instead of our Grey Fox Pottery bottom stamp. “Call sign” decals are popular with our Mug Club & Military customers. We currently offer single-color names & illustrations. 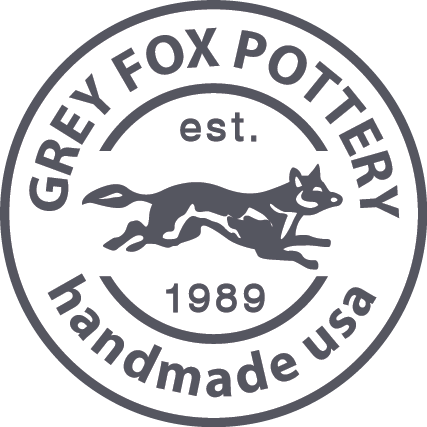 Grey Fox Pottery is proud to produce all of our handmade products right here in the United States, offering quality branding ideas and services to support customers who are passionate about sharing their businesses and passions with the world.